Salt licorice ice cream comes in many forms: scoops, soft serve, and ice-cream bars. Fazer, a candy company, makes their ice cream bars in the same shape as their iconic salt licorice candy. 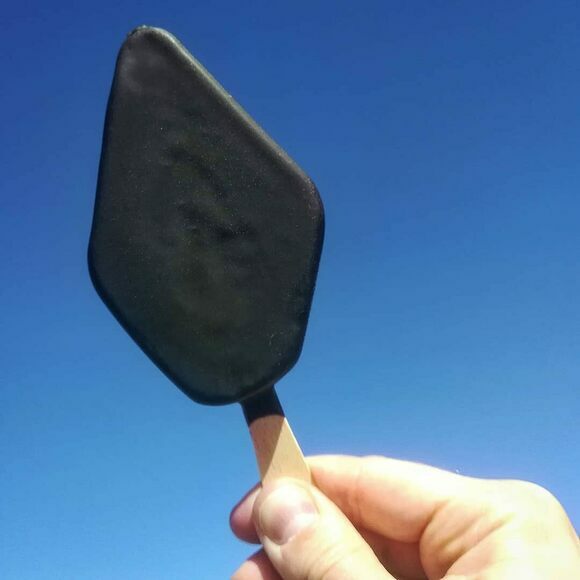 While the sweet, salty ice cream itself is a deep gray, it’s often covered in an inky-black coating. Stunned non-Finns (and there are many, as shown in this commercial from Fazer) may wonder how such a flavor came to be in the first place. Ammonium chloride, as it happens, has been used in cough medicine. Licorice is also prized for its medicinal qualities, and in the early 20th century had its heyday as a popular flavoring. It’s likely the two ingredients met over the pharmacy counter. While salty licorice can be found all around Europe, ground zero for the ice cream is Finland.